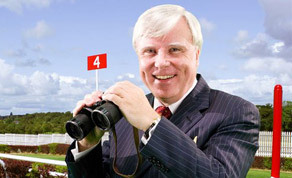 Owner of the Park Hotel Kenmare and star of RTÉ’s ‘At Your Service’ and ‘Stars Go Racing’, Francis Brennan is about to embark on a grand tour of Europe for Waddell Media’s ‘Francis Brennan’s Grand Tour’. Produced and Directed by John FD Northover (Tonight with Craig Doyle), filming on 6 x 30 series takes place from 12-24th September, as hotelier Francis Brennan leads 16 holidaymakers on a 12 night escorted coach trip around Europe. The Grand Tour will visit places such as Barcelona, Carcassonne, Cannes, Rome, Tuscany and the Italian Lakes and it will be up to Francis to organise every aspect and ensure the group gets the holiday of a lifetime. Executive Producers on the series are Jannine Waddell (At Your Service) and Maggi Gibson (How Long Will You Live?) for Waddell Media and Giolla Phádraig (Prime Time Investigates: Cocaine) for RTÉ. The offline editors are Brendan McCarthy and Paul McFarland and online editor is Jim Thompson. The series will air on RTÉ in November 2012.